Prenuptial & Postnuptial Agreements • Little, Gilman-Tepper & Batley, P.A. 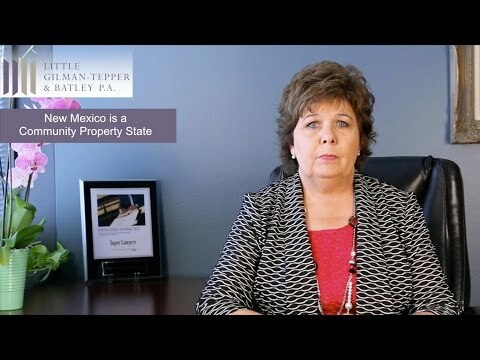 In many cases, when there is significant wealth on either or both sides, the agreement can create greater peace of mind and reduce misunderstanding between spouses, especially when there are children involved.Both prenuptial and postnuptial agreements are recognized in New Mexico. However, specific and precise requirements must be met for the agreement to be enforced. A prenuptial or postnuptial agreement must be in writing and signed by both parties. It can address what happens in the event of a death or a divorce. The agreement may also outline the manner in which the parties will handle their finances during the marriage. Entering into a prenuptial or postnuptial agreement does not mean that divorce is inevitable. The attorneys at Little, Gilman-Tepper & Batley, P.A. are experienced in negotiating the terms of a prenuptial and postnuptial agreements so that it will withstand any court review. Our legal team has represented a wide range of individuals, including professional athletes, celebrities, and business leaders. Contact the lawyers at Little, Gilman-Tepper & Batley, P.A. today to learn how we can help protect your assets and income with a prenuptial or postnuptial agreement. Do I need a prenuptial?